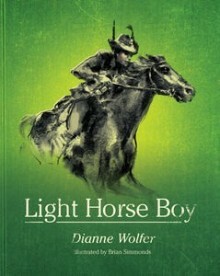 This new picture book was recently launched in time for Anzac Day — Light Horse Boy is a companion book to Lighthouse Girl and both are worth buying (or borrowing — ask for them at your library). When war is declared on Germany in 1914, Jim and his best mate, Charlie, decide to sign up for the war. Jim is not quite old enough to sign up but he lies about his age. When he resigns from his job to go to war, Jim’s boss gives him a horse called Breaker, instead of his wages. Jim and Charlie think joining the Light Horse Regiment is a bit of an adventure and that the war will be over in a few months. But they quickly discover how terrible life on the frontline really is. Jim’s story is told as a narrative with charcoal illustrations, and the book includes copies of his letters and telegrams to his sister Alice. Readers are taken back in time with old photographs, maps, and newspaper clippings. Reading Jim’s letters is like reading letters from someone you know (your own brother, or a friend). Through Jim’s eyes we see how war affected young Australian soldiers and their horses serving in World War I, and how hard it was for friends and family left behind. The reviewer borrowed this book from the library. Sophie Scott is nine, and she’s going to Antarctica with her dad—the captain of the Aurora Australis. It will take two weeks to get there, and they will be staying at Mawson Station for a week before coming home. You’ll find a glossary at the end of the book and the endpapers show a map of the world showing Sophie’s journey to Antarctica, and a map of Antarctica from above. This book grabs your attention from the first page. Gallop as quickly as you can to a library or bookshop if you love strange adventures, explorers, sea creatures, ships or Antarctica. Or all of them together! 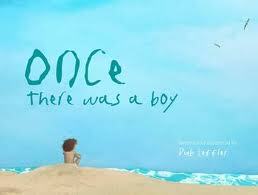 Once There Was a Boy written & illustrated by Dub Leffler. Published by Magabala Books, ISBN 978 1 921248 37 5. A review copy of this book was sent to us by the publisher. This is a picture book about friendship and sharing, and how strange it is that friendship can mean happiness and also disappointments sometimes. 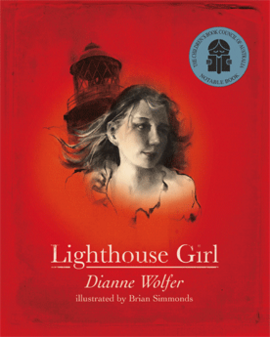 The illustrations really show the beauty of the island, and the stillness and sadness of the boy. 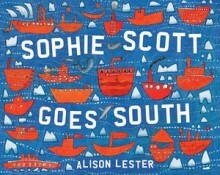 I especially love the colours of the ocean and the way shadows appear in many of the illustrations. There is sense of peace at the end—and a feeling of hope. Jake’s Concert Horror by Ken Spillman and illustrated Chris Nixon. Published by Fremantle Press ISBN 9781921888755. When Mrs Paul announces that the class will be putting on a musical play, Jake imagines himself in all sorts of cool roles—a pirate, a monkey, a robot with a silver-painted box over his head. But when he hears what the play will be, he’s not impressed. Yuk, Jake thought. Why couldn’t she choose something about pirates? But it’s even worse when he finds out what his part is in the play. As the date of the performance gets closer he gets more and more worried. Everyone worries about something. 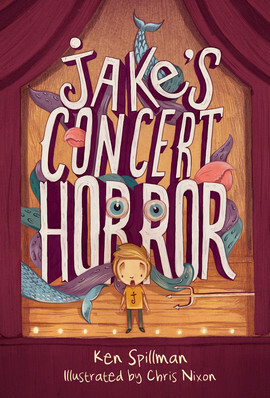 Jake’s Concert Horror is a book about overcoming your fears. Look here for a review of an earlier Jake book, Jake’s Great Game. 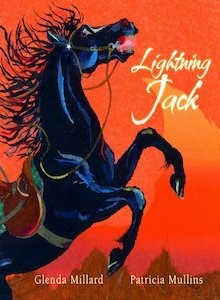 Lightning Jack by Glenda Millard and illustrated Patricia Mullins. 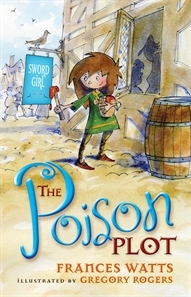 Published by Scholastic Australia, ISBN 9781741693911. Sam Tully dares to ride the midnight horse, Lightning Jack—a stockman’s horse, a flying horse, a daring horse, a dancing horse. On the back of such a horse, magnificent feats are accomplished. This tale is a modern-day bush ballad. The rhythm of the words keep the story moving along, like the galloping horse and—along with the poetic language—this makes Lightning Jack a fantastic book for reading out loud. Like many good bush ballads, this tale has an unexpected ending. 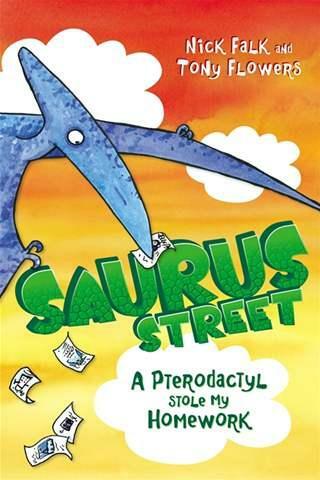 A great Australian picture book—add this one to your ‘must read’ list!